This is a must-read for anyone currently or formerly teaching in the humanities. 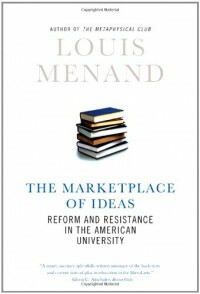 Menand gives a history of general education and the evolution of how universities have come to decide what is "higher education;" as someone who has tried to form a teaching philosophy in the ever-changing landscape of composition and critical thinking trends, I found the history relevant and interesting. 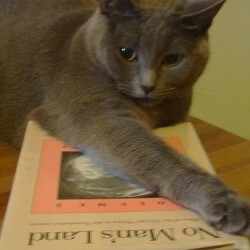 As a teacher who has tried to create the inclusive syllabi (and been told on more than one occasion by students that we read "too many books by women" and "not enough classics), I was not entirely persuaded by Menand's argument about the relationship between postmodernism and multi-culturalism... although I don't think he's wrong, either. Finally, if you've ever wondered why your immense overeducation isn't getting you a job, Menand has some theories about that too.